We all want our homes to live their best lives. We want our homes to reflect our story, where we have been and where we are going. Sometimes that proves difficult when you spend all your time in your home looking at your same decor day in and day out. 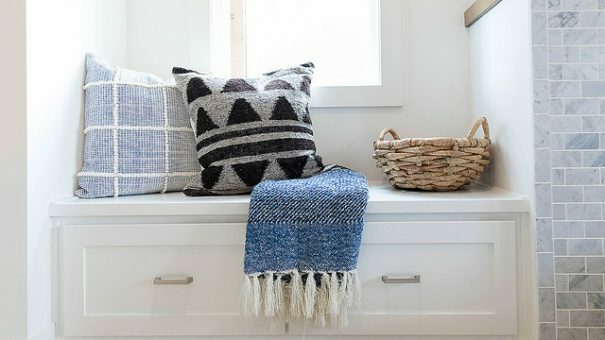 Sometimes you need another eye to come in and analyze where your home can go, breathe new life into your existing pieces and give you the low-down on what to edit–that’s where we step in. We are experts at looking at a space or a home as a large puzzle. How the textures, colors, and feeling of one space relate to the next. 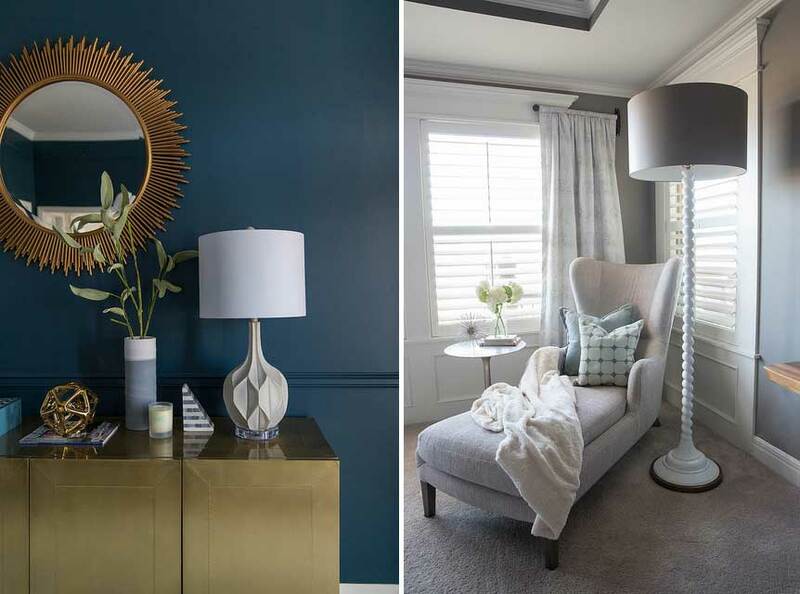 How to carry a common thread throughout a space without creating the dreaded, matchey ‘off the showroom floor’ look. We provide a professional, educated assessment of all the things that are near and dear to your heart while recommending additional pieces to create the best finished product it can be. 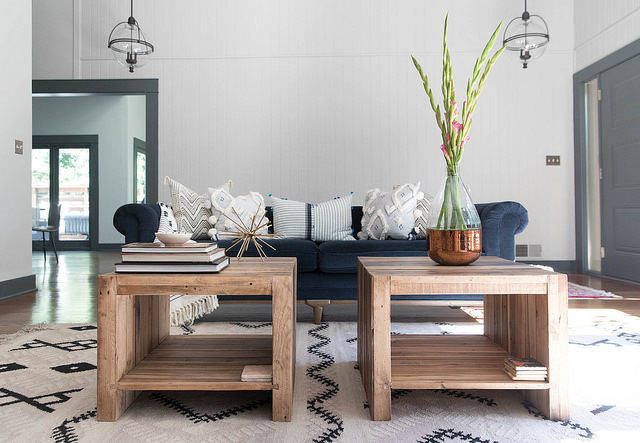 Gorgeous Living room with custom sofa and reclaimed wood coffee tables. And that brings us to scale. Scale is HARD. It’s tricky to determine what fits best or how something will really look in your space when you see something online or even in a store. 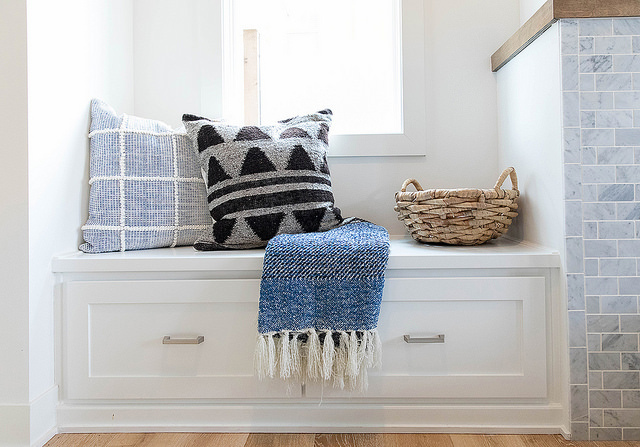 It may seem from the picture that the super cute leather sofa that is a steal will fit well in your space, and then you get it home and it’s short. Short! (as in really short.) As in it was made for a dollhouse short and your toddler looks large sitting in it. We help avoid those scale catastrophes because we have spent hours studying how pieces should fill a space and what sizing is appropriate in regards to the overall space, ceiling height and in relation to the other pieces in the room. We’ve done the hard work so you don’t have to. A new year brings new inspiration. Let’s start this year off breathing excitement and a new life into your home. We got you!